The Samsung GALAXY Note II is another big winner (pardon the pun) from the Korean manufacturer. After one month of availability overseas, the phablet has rung up 3 million units in sales. You might remember that Samsung's J.K. Shin said that 20 million units of the 5.5 inch device would be sold after 1 year, double the amount that the original Samsung GALAXY Note managed to hit. With Verizon and AT&T taking pre-orders for the device, there are many more sales ahead to count. Launching on all four major U.S. carriers is a good way to get a boost in those numbers. 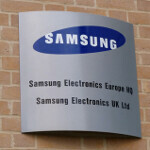 But as hot as the Samsung GALAXY Note II is, and make no mistake that it is hot, the phablet will be hard pressed to match the 20 million units sold by the Samsung Galaxy S III after its first 100 days on the market. And Nexus 4 is coming too, can't wait to see Anroid achievement against desparate iOS resistance this Quarter. I doubt it although the HTC butterfly is the better specd phone the note 2 has the galaxy brand behind it and also has the spen to make it stand out from the crowd...considered this by the new HTC comes out the note 2 will be on all carriers for a while and on would bet come the end of the the note 2 will be around the 10 million mark.. 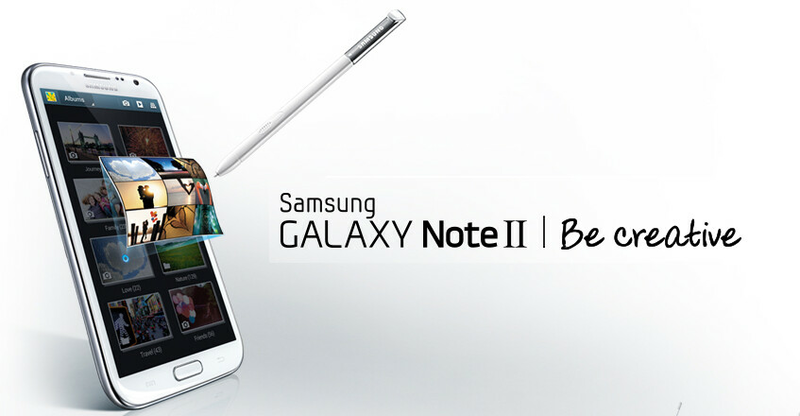 The Galaxy Note II is the world's current best smartphone. I agree with you on that, Richard. I'll be buying mine by Black Friday, but there's no possible way it will best the S3 in sales. It'll sell wonderfully, but 20 million in 100 days just won't happen. As Usually Expected.... Q4 will be another record breaking quarter for SS. Even ss hasn't released Note 2 in the US yet. Love my Note 2. Right, PA seems a little lazy these days, are thay affected by the storm? I sold my note1, and toke note2. First battery is massive improvement, LED LED LED love it. Less width mean better holding it with one hand. Display yep beautiful. Shortcut for some apps even in the setup page. Super fast. Custom action when pulling the pen like note 10.1. After that some comes and say that Apple is the leader in innovation! Thats what I call innvoation, go Apple go...wait a sec...damn, I am in a wrong place. Hmmm guess Steve Jobs was wrong here also,"hummer" size smartphones do sell! And also do stylus when done properly and with innovative design. The Note is what the sector didn't see coming. The phablet group is expanding exponentially, and a year from now when the epic 6" fullHD E5 4-core Note 3 kicks off, 40 of the 50 million phab owners will be carrying a Samsung product. Remember, the Note is still selling since the 10M announcement 3 months ago and the price drop will help more, while the demand for the Note 2 is enormous - Sammy was right to enter Apple territory to announce it in late Summer rather than in the busy October. I predict Samsung riding the high waves at least till the S6/Note4 generation cause they have plenty of performance, innovation and features in store (cross-product functionality being one), they just need to keep it real and not get too comfortable with what they have achieved and they'll be the rightful king of the mobile if not of all the geek tech industry. Great job but it would certainly challenge the GSIII record in 100 days if Samsung released to device sooner and carriers did not make their customers wait a month to get it. Thats a shoutout to Verizon specifically. I'm a very happy owner of the Note 2. Today is day 7 and I am thrilled with this phone. Beautiful display, strong battery, Google Now is extremely functional and amazing, the speaker is loud and the sound is the best I've ever had on a phone. I'm a dyed-in-the-wool HTC lover, this is my first experience with TouchWiz and daily I find another feature that's useful, fun and thoughtful. I just discovered AllShare yesterday and it's fun to play with. My Sprint plan has been ready for an upgrade since April, but no phone has impressed me like this phone. Other phones are simply puny now. I LOVE this phone. I'm just another very very satisfied owner of Note 2 - well done sammy. Samsung is in BEASTMODE guys.The Note II ,GS III are the top of the food chain and keep it moving despite the Fruit's convictions. Well done Samsung keep being innovative and creative. Anyone looking forward for the Galaxy S4?w/a S-Pen?